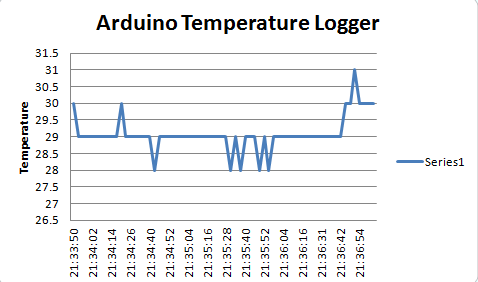 This temperature logger uses Arduino, a temperature sensor, and a real-time clock module to collect data. 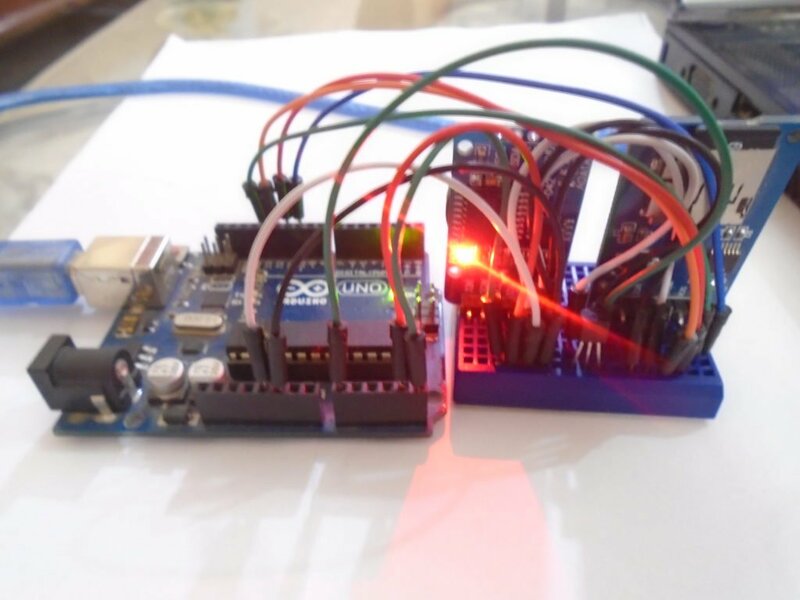 In this project, we are going to make an Arduino Temperature logger that will get the temperature value from the LM35 temperature sensor and the time from the DS3231 Real Time Clock module. Then we will store these values in the SD card file using the mini SD card Module. After that, we will access this file from a PC and create a chart of these values in the Microsoft excel. The LM35 temperature sensor gives the output in analog form. We need to convert this output using the ADC to be able to measure the temperature. The Arduino has a built in ADC through which we will convert the output of LM35 into a temperature value. The DS3231 time clock module works with the Arduino through the I2C communications. So, we just need to connect the SCL and SDA pins on the DS3213 with the Arduino and the module will start to communicate. The module has a separate battery which makes it able to run even when it is not powered by the Arduino. The SD card module is then used to store the temperature and time in the SD card. The SD card module will open the SD card and store the data in it. After that, we will open this file on the PC and make a graph using these values in the Microsoft excel. First, we have included the libraries for the mini SD card module and the DS3231 time clock module. The SD card module works with the Arduino through the SPI communication, so we have included the SPI library. After that, we initialize two variables for using the library functions. In the setup function, we started communication with the SD card module. If everything works fine, then the Arduino will print "Initialization Successful. Ready to use” on the serial monitor, or else it will print “Initialization failed. Check your pin connections or change your SD card". The LM35 temperature sensor gives us the output in analog form, so first, we need to convert this analog output into temperature. Then we open the SD card file “test.txt”. If there is no file of that name, then the Arduino will create it. 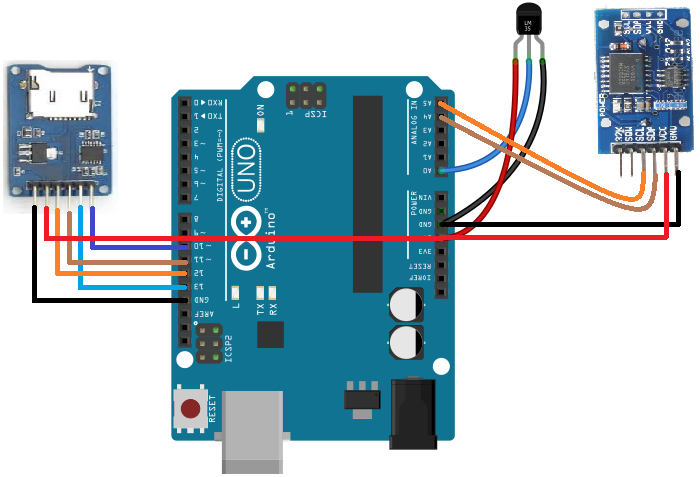 After opening the file, the Arduino will print the time and temperature in it. The file name you are going to select must be of the 8.3 format. The file name of the 8.3 format will be like this “data345.txt”, where the “data345” is the 8 character string and “.txt” is the 3 character extension. You cannot use a file name longer than this format. If you are using the SD card for the first time, it recommended to format it before using it. To make a graph in excel, open the Microsoft excel and go to data menu, click on the ‘from text’ button and select the SD card file. Then choose the delimited and click next, after that, choose comma and finish the wizard. Now, select all the data and go to insert menu and click on ‘Line chart’. This will create a chart for us.